VROOM Bus Cooperative– One of the Freedom Food Alliance’s projects that we are raising fund for is the VROOM Bus Cooperative. 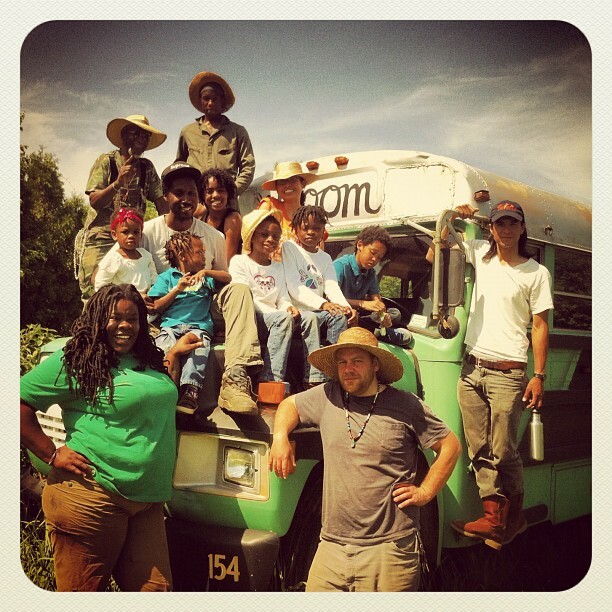 VROOM is a veggie-oil run former school bus available to groups and organizations for their journeys in pursuit of radical change. The bus is based in Wassaic, NY and serves the five boroughs, the Hudson Valley and Harlem Valley. By making the vehicle available to other members of the activist community, we hope to assist organizations devoted to radical organizing and social change with specific transportation needs. We inherited the cooperative in August 2011 from Rude Mechanic Orchestra and since we done trip for Non-for profit’s like Just Food’s Farm School NYC, New York Botanical Gardens, Green For All, and for community groups like The BlK ProjeK,the Black Farmers and Urban Growers Conference, and Occupy Wall St. Membership guideline and website coming soon!